refashioned as All-Saints Day (November 1) and October 31, now known as All Hallows Eve, ushered in a festival called All Hallows. Today, October 31st is celebrated as Halloween, a night of costumed revelry and, if we're young or young at heart, "trick or treating." We classic film buffs usually include classic ghost or horror films as part of the holiday's festivities. This October, Turner Classic Movies has been offering "spooktacular" "fright films" with 'Classic Horror' every Wednesday though Halloween. Among the films featured so far was one of my own eerie favorites, Jack Clayton's The Innocents (1961), based on a stage play of the same name that was an adaptation of the Henry James novella The Turn of the Screw. Deborah Kerr starred and considered her performance as the distressed governess of two precocious children the best of her career. 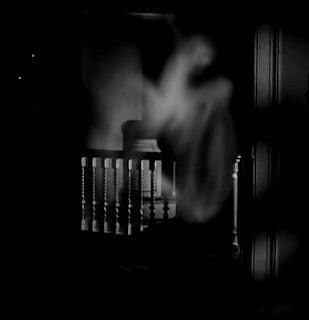 TCM also aired the 1944 ghost classic The Uninvited as part of this month's "scarefest." Lighter but reminiscent in some ways of the Hitchcock's Rebecca (1940), it stars Ray Milland, features the film debut of Gail Russell and introduced Victor Young's classic song "Stella by Starlight." I took a closer look at both The Uninvited and Rebecca last November with A Chill in the Air Part I and Part II. 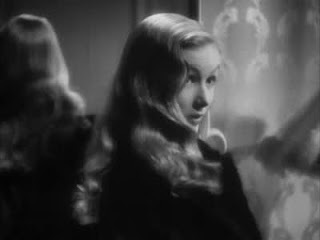 Also spotlighted on TCM this month, though as part of its political series rather than a lead-in to Halloween, was Rene Clair's I Married a Witch (1942), starring Veronica Lake as a 300 year old witch and Fredric March as a rising politician. Click here for Jacqueline T. Lynch's thoroughly entertaining review at Another Old Movie Blog. Tonight, All Hallows Eve has finally arrived and Turner Classic Movies is featuring Universal horror classics: Frankenstein (1931), Son of Frankenstein (1939), The Wolf Man (1941), The Mummy (1932), The Mummy's Hand (1940) and Island of Lost Souls (1933). Every time I have settled in to watch "Son of Frankenstein" during the last couple of years, something has intervened. Tonight will be different. I'll lock the door, put out the porch light and settle in with the leftover treats. You reminded me of the many delights associated with the crunchy fallen leaves, the nip in the air and the classic spooky movies this time of year. I don't think I've ever seen "Son of Frankenstein" (but my memory is a little sketchy these days). I haven't seen "The Mummy's Hand" since grammar school. It was the tradition of one fifth grade teacher (who turned out to be my fifth grade teacher) to show "The Mummy's Hand" on the last day of school every year. Eve, I recorded just about every movie this month so I would't miss any! I still have a few to watch. I too love the ones you spotlighted, particularly The Innocents, The Uninvited ... well, all of them. I love Halloween and TCM allows me to glut myself on my favorites! 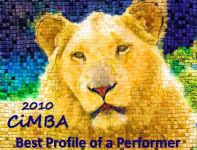 I really enjoyed your post. Hi Becky - My DVR is starting to intimidate me - lots of catching up to do. Both "The Innocents" and "The Uninvited" are ghost stories rather than horror, but I find "The Uninvited" much easier to watch if only because, though it has its chilling moments, it is also a romance and sprinkled with lighter moments. "The Innocents" just plain chills me to the bone. You hit the nail on the head. The Uninvited is such a good movie, some shivers, lots of wit. The Innocents is a movie that indeed makes you feel cold at the back of the neck. Fabulous movie. Henry James would never answer the question, was the governess mad, or were the ghosts real? What do you think? I think the answer lies in the mind of the beholder, which is one of the story's great charms. The film seems to hint at the more modern, psychological view, but with great subtlety - enough that viewers can form their own opinions. The "Meet Me in St. Louis" costumes look surprisingly modern, but I really like the cat mask from "Breakfast at Tiffany's". 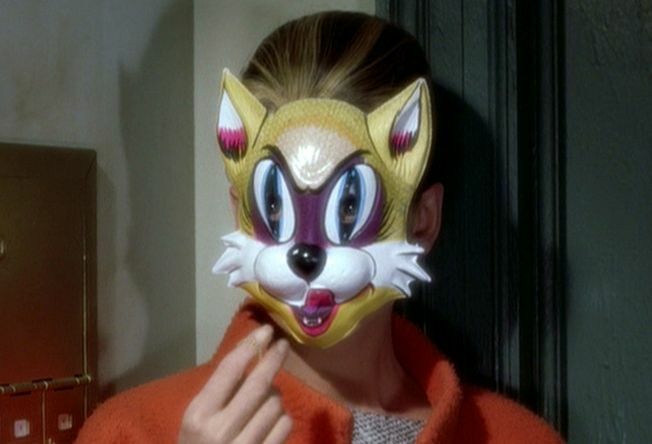 Audrey Hepburn could probably have gotten away with just about any sort of mask, but the cat mask seems a perfect choice for Holly Golightly/Lula Mae Barnes. And me. I love to by mystified and chilled and thrilled (and delighted) - and all of your choices fill the bill. 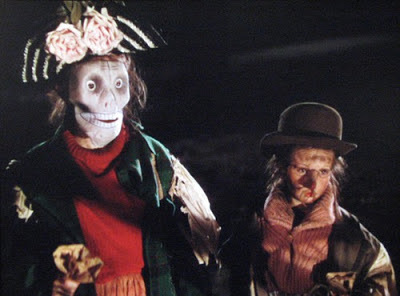 What I don't like is to be disgusted, which so many Halloween movies tend to do. I'll stick with "The Uninvited" and "I Married a Witch." Fun post, Lady Eve. I'm with you, FlickChick. Mystify me, thrill me and/or chill me, but spare me the gory and lurid on-screen at Halloween or anytime. Too right, Chick. Disgusting is not scary -- it's just gross! I'm a little late but this was an entertaining post. I did get to watch a few chilling films this season, mostly Hammer films including the REVENGE OF FRANKENSTEIN, FRANKENSTEIN CREATED WOMAN, DRACULA HAS RISEN FROM THE GRAVE and DRACULA PRINCE OF DARKNESS (best of the four). Oh and I did go to the TCM showings of FRANKENSTEIN and BRIDE OF FRANKENSTEIN.